Our balms use all natural and organic butters and oils to hydrate and protect your skin, leaving your hands, arms, lips-wherever needs it - feeling soft, healthy and moisturized. A balm to hydrate your skin and save it from the elements. Our unscented powerhouse balm, with added oils for extra skin care including avocado and hempseed oil. Our balms use all natural and organic butters and oils to hydrate and protect your skin, leaving your hands, arms, lips-wherever needs it - feeling soft, healthy and moisturized. 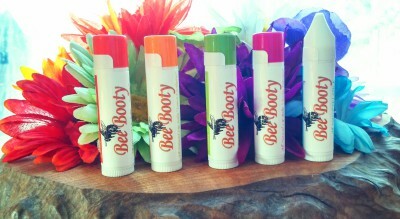 Bee Booty’s Lip Balm incorporates beeswax from our own hives along with organic oils and butters to keep lips happy all year round. 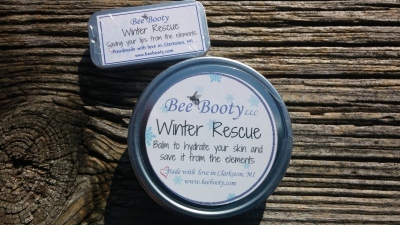 Our line includes the following balms: Coconut Lime, Mango Tango, Orange, Chocolate Peppermint, Ski Stik, Morning Buzz, Fresh Lemon, Bubble Gum, Mint Tingle, Winter Rescue & Grapefruit. Various jar styles to fit your personality and purpose, filled with this seasons raw honey! One of our customer favorites! What is a lotion bar? It’s a bar that you can use in place of lotion. Rub it on your skin like you would a bar of soap but no washing off! This is for after shower, no water needed! 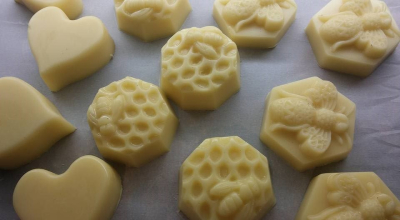 The organic shea butter and organic coconut oil in these bars melts from the heat of your skin and absorbs, locking in your skins moisture, leaving it soft for hours and smelling great! 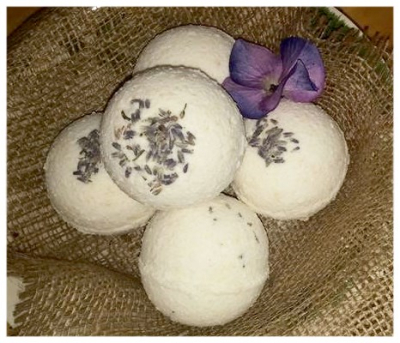 Soothe your skin and your senses with a fizzing lavender, raw honey and milk bath bomb. Drop it in a warm tub and as it dissolves it will add conditioner to the water and aromatherapy to your space. We didn’t forget our furry friends! 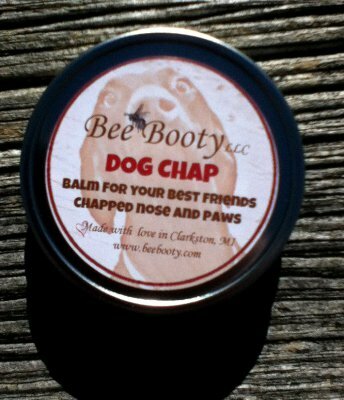 Dog Chap is a balm for your dog’s paws and nose when winter weather hits. Warm a chunk of this balm in your hands and coat your friends’ nose and paws before bed for extra protection and soothe sore winter skin. 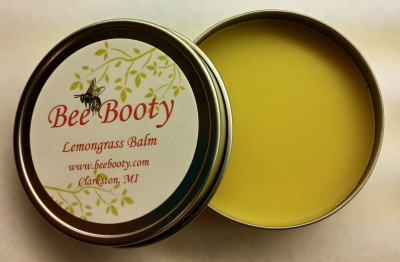 Our ingredients are listed on the tin and are recognized for their healing and soothing properties. BTW ~ you can use the Dog Chap too – it’s good for everyone! 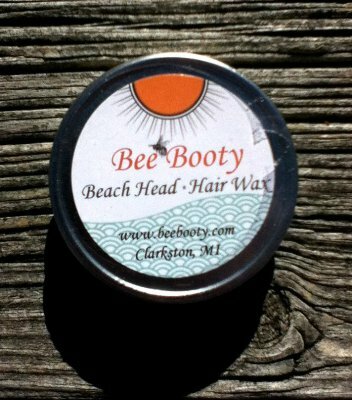 Using our Bee Booty Beeswax, Organic Oils and Shea butter we’ve created a product that you can use daily, in place of your store bought gels and waxes. Use on wet curly hair to obtain a soft natural hold, dry short hair for texture or dry hair for shine and tame fly-aways.  All our honey and hives are loved, grown and harvested in Clarkston, MI.